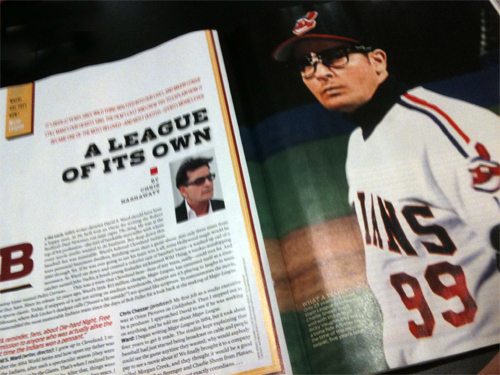 It’s been 25 years since Major League arrived, and Yahoo! Sports’ Mike Oz has three items today that explore the history of my team. 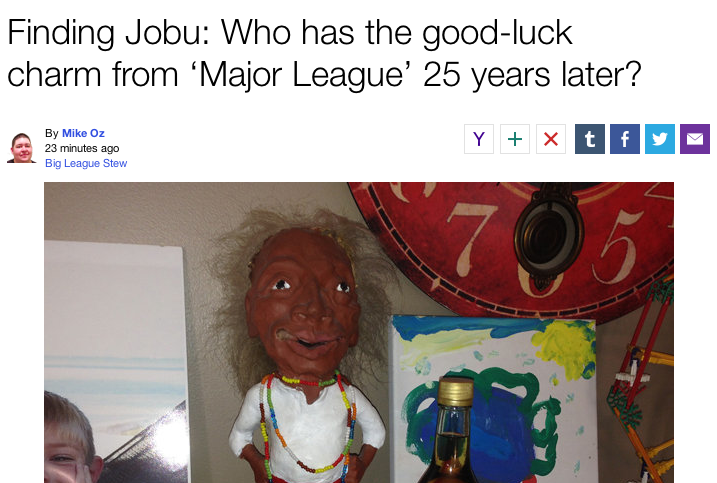 The only real revelation is that the once-thought-missing Jobu is alive and well in the collection of a movie executive — though he looks like he spent a few long days with Sheen where the rum was just the start of things. What about a new Major League movie? Well, that’s being talked about once again. Read all about it here. Last but not least, here are 15 things you didn’t know about Major League — but probably did. I’ve not had a lot of time for things since I moved to England, but it’s good to see there’s plenty of love for my team. I dunnnoooooo … have I seen this before?